Alma Desnuda in the studio with Merton! Pretty awesome video of my friends ALMA DESNUDA in the studio with internet sensation Merton. You get a good look at Joe with his natural CT 4pc kit and cool drum setup. 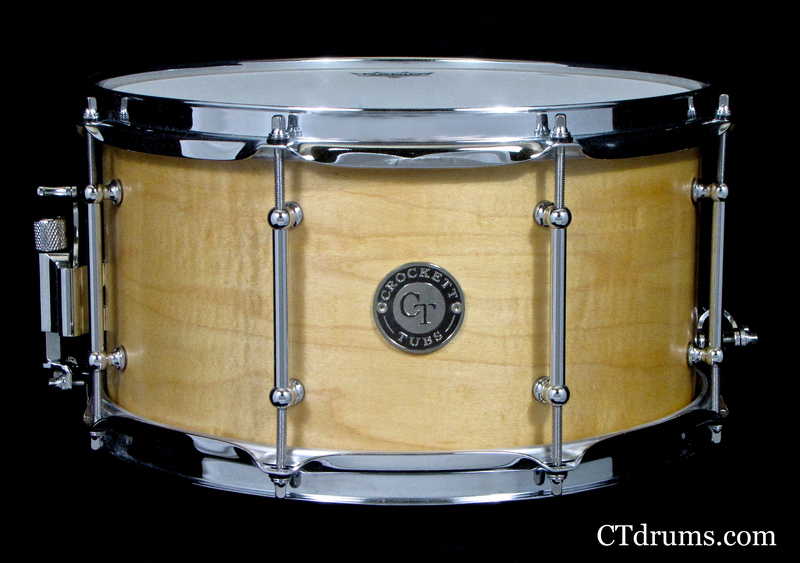 A funky 13″ snare drum that has tons of pop and tone. The 8ply maple of our Standard Series coupled with the 7″ depth and 13″ diameter creates a full bodied snare drum that has a tighter attack and warm tone. Finished in our Natural Satin Oil on a beautiful shell we chose with some slight curly figuring. All chrome hardware including full length solid brass tube lugs, 2.3mm triple flanged hoops for a more open tone, and an RCK throwoff. 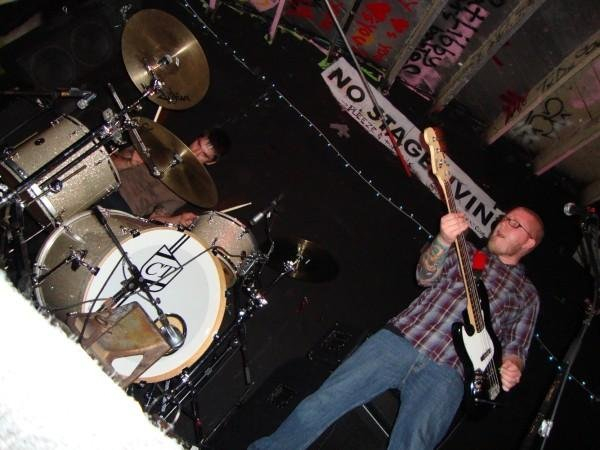 An audience view of Build Us Airplanes live at the famous Gilman Street venue in Berkeley, CA. A popular hang for all punk rock for many generations. Big things come in small packages, as they say. This is a 14×16” Standard Series 8ply Maple kick drum and a 7×12″ snare drum in Turquoise Glass Glitter. Both of these drums were built for a our youngest female drummer, Sephie. A young aspiring drummer looking for a high end quality kit, yet something with a small footprint and portability in a cool finish. Addon toms will be built in due time, but this kick and snare combo’d with a hihat are totally fun to play and sound unbelievable. This is our second kick drum in this size and proves that we are fully custom and can build just the right drum for anyone.